US futures are pointing to a higher open today after ending higher on Monday, as global trade war concerns continued to vanish. Last week, President Donald Trump’s decision to impose tariffs on $50 billion worth of Chinese imports had sparked trade war concerns. 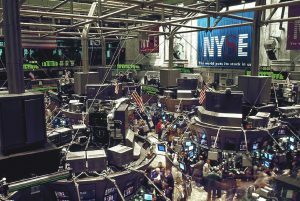 The S&P futures gained 0.55% to 2,674, Dow futures grew 0.58% to 24,332, and Nasdaq advanced 0.95% to 6,837.75. Elsewhere, shares at Asian markets closed mostly higher on Monday, and European stocks are trading in green. On the European economic front, data from Istat showed that Italy’s consumer confidence grew to 117.5 in March from 115.7 in February. European Commission data revealed that Eurozone economic confidence fell to 112.6 in March from 114.2 in February, due to drop in industry, services and retail trade. INE data showed that Spain’s consumer prices grew 1.2% on year in March, after rising 1.1% in February. Destatis data revealed that Germany’s import prices slid 0.6% on year in February after rising 0.7% in January, and export prices rose 0.5% in February after increasing 0.7% in January. Swedish economy report showed that growth is expected to be 2.9% for 2018, up from the prior estimate of 3%. Looking ahead, the Swedish economy will likely rise 2.1% for 2019, 1.6% in 2020 and 1.5% each in next two years. On the Asian economic front, data from the Bank of Japan showed that producer prices in Japan rose 0.6% on year in February after remaining unchanged at 0.7% in January. ANZ bank and Roy Morgan Research survey revealed that Australia’s consumer confidence fell by 0.9% to 117.4 during the week ended March 25 from last week. The Bank of Korea data showed that South Korea’s consumer confidence fell to 108.1 in March from 108.2 in February. The National Bureau of Statistics data revealed that China’s industrial profits grew 16.1% on year for the first two months of 2018. 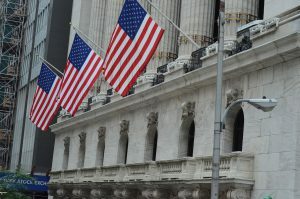 On March 26, US ended higher, with Dow up 2.84% to 24,202.60. Nasdaq advanced 3.26% to 7,220.54, and S&P 500 climbed 2.72% to 2,658.55. Lingering trade war concerns eased as the US has started negotiations on the Chinese imports tariff plan. Meanwhile, key economic events scheduled for today include Redbook data, S&P CoreLogic Case-Shiller home price index, Conference Board’s consumer confidence report, Federal Reserve Bank of Richmond’s manufacturing index, State Street investor confidence index, and Dallas Fed’s Texas service sector outlook survey. Atlanta Federal Reserve Bank President Raphael Bostic will speak today at the HOP Global Forums 2018 annual meeting in Atlanta, Georgia. On the corporate front, McCormick (MKC) stock grew 3.77% in the premarket after lifting 2018 guidance and upbeat first-quarter earnings. Red Hat (RHT) stock increased 5.17% in premarket after better-than-expected fourth-quarter results. GGP Inc. (GGP) stock rose 3.25% in premarket after Brookfield Property Partners (BPY) agreed to buy it for $9.25 billion in cash as well as 254 million shares. Kinder Morgan (KMI) stock rose 1.19% in premarket after brokerage firm Citigroup upgraded the stock to Buy. Red Hat (RHT) stock increased 5.17% in premarket after better-than-expected fourth-quarter results. On the earnings front, the key companies reporting earnings today include IHS Markit (INFO), Sonic (SONC), Lululemon Athletica (LULU), Francesca’s Holdings (FRAN), Shoe Carnival (SCVL), Restoration Hardware Holdings (RH), and Factset Research Systems (FDS). Crude oil futures is up 0.50% to $65.88. Gold is trading down 0.67% to $1,345.90, and silver is down 0.38% to $16.62. On the currency front, the US dollar is trading up 0.29% at 105.738 yen. Against the euro, the dollar is down 0.36% to $1.2403. Against the pound, the dollar is down 0.83% to $1.4109.